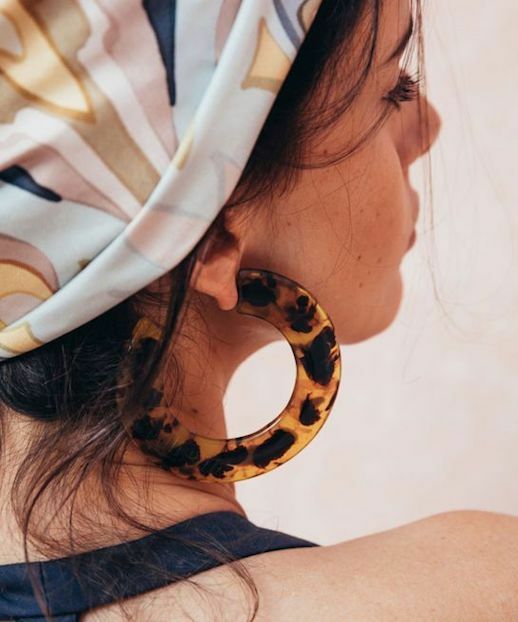 If you haven't already taken note (and bought yourself a few pairs) the latest trend to hit the fashion circuit is plastic earrings. And no, we don't mean stick on sparkly things that you probably bedazzled as a pre-teen. These clear lucite hoops are making their way into our hearts and wallets this season because of their wearability, variety, and cool-factor.